We all know her or have known someone just like her - boy or girl, young or old, quiet or not-so-quiet, long or short hair, large or small family. No formula. Emily is my blog story today because she was a follower. And I learned to be a better teacher by following her. these 2 are actually playing TOGETHER, neither following the other. Four-year-old Emily would come to school, happily say hello to me and happily say goodbye to her mother. sometimes a child becomes a shadow of another...what to do? "I want to play with Lara." like a shadow of Lara. Our classroom of 4s/5s was an inquiry based classroom where the children would explore, make their own choices, invent, try new materials, work independently or with a partner or in a group. Surely one of my goals as an educator in this environment was to uplift the image of each child. I was challenged because my image of Emily was overshadowed by that of Lara. [Or so I thought]. what happens when a child Admires another? 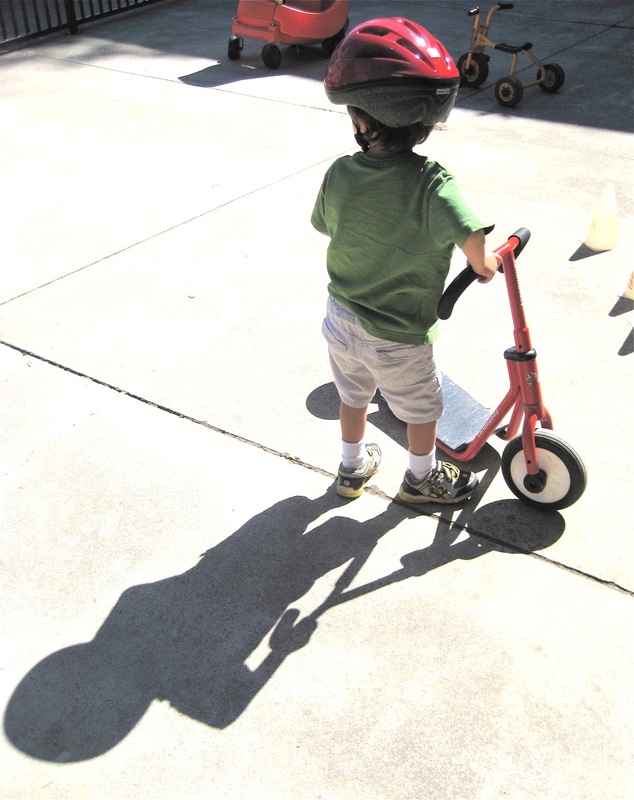 what happens when a child sees past their self & Seeks out another? It was something that happened over a short period of time, very soon after the school year started. Emily started making choices that were based ONLY on Lara's choices. If Lara planned to paint in the art area, so would Emily. As soon as Lara decided to make a new plan in the classroom, Emily would - literally - drop her paintbrush and follow Lara. 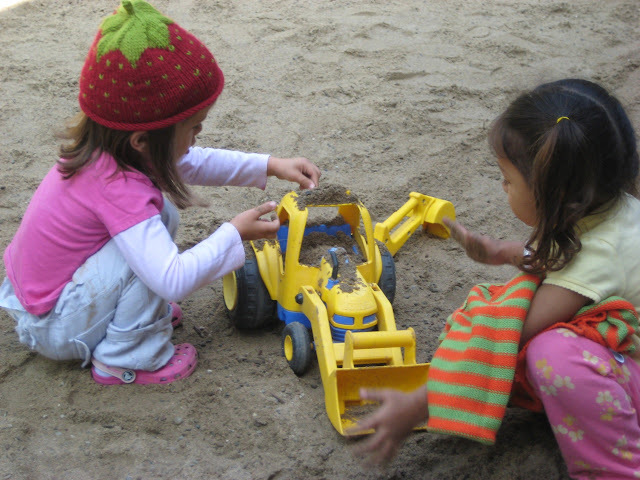 Playing in the sandbox - Lara leaves, Emily bolts out. Building in the block area - Lara goes to to use the bathroom, Emily waits for her at the doorway. There was desperation to Emily's actions. A frantic nature by Emily to keep next to Lara at all times. I must say, I had never seen the behavior to that extent before - and really have never seen it again to that level. There are always children - people - who prefer to be cautious, to see what others do and then join in. There are always those of us who don't mind NOT being the leaders, NOT being the most inventive or creative, NOT being the center of attention. Personality, social comfort and competence in an activity surely affects all of us daily, yet doesn't mean we are dependent upon ONE other person. 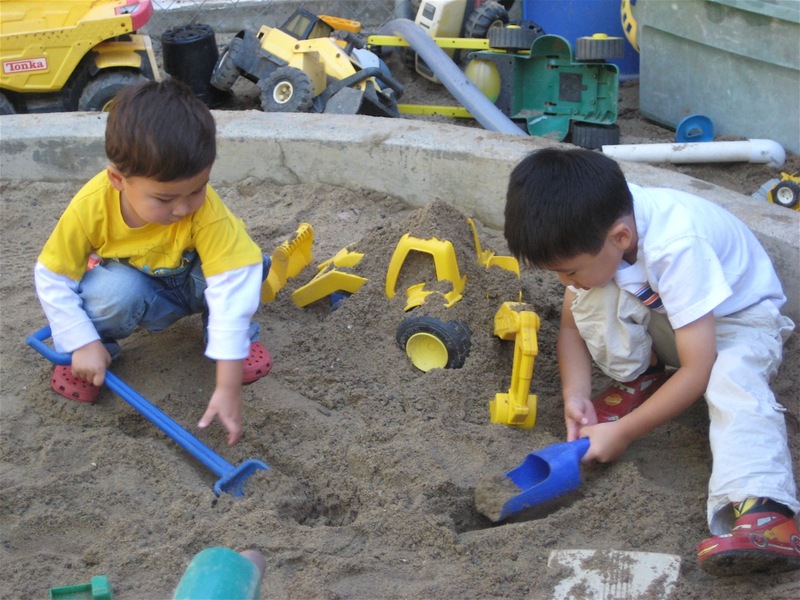 how can you tell if one child is following or if 2 children are playing together? Lara does have a way about her that also is quite unusual for a 4-year-old. I can understand how Lara IS seen as quite fantastic. Lara DOES have charisma [to this day she does!] which is rather unheard of in the very young. Lara and I had a couple chats about being a leader and how to help friends have a chance at an idea. She was part of the unusual situation that had presented itself this school year. Emily followed Lara because Lara could lead her, could always have new ideas, could always know what to do at school. what if there was a child at school with actual Charisma? could you identify it? could you see it how other children see it? I realized that it is quite amazing for a 4-year-old to Admire Someone Else, to Value Someone Else, to Appreciate Qualities of Another Human Being. 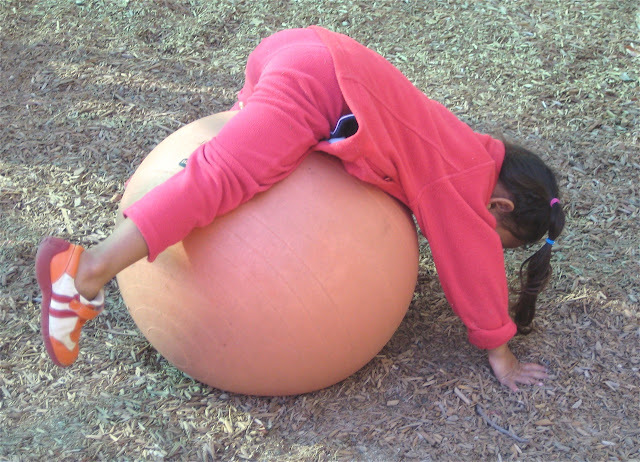 Surely Emily would not have had been able to do this when she was 3 or 2 years old. 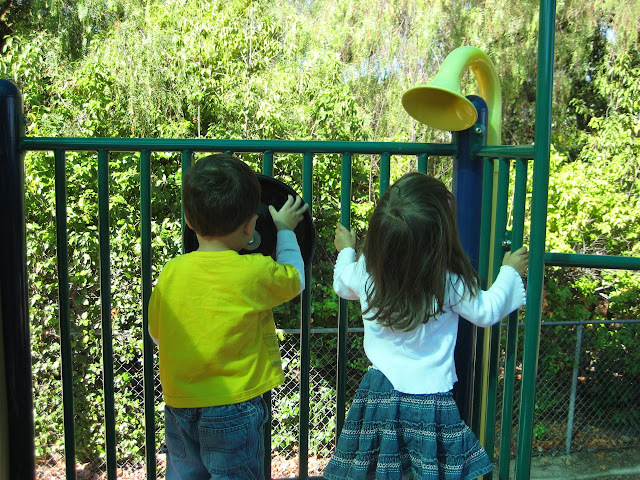 Emily's development of understanding, compassion and friendship was on a different level than I had witnessed by one child toward another. I realized that Emily - while, yes, a follower - was coming from another perspective that I had not used as much as I should in my own life. Emily was able to move outside herself and seek out the skill, actions and choices of another as a source of inspiration for her own day. I realized that this was a whole different kind of social constructivism (nod to Vygotsky). Emily was constructing her understanding of school life, social interactions, routine and choice making via another child that was more capable (scaffolding at its best, another nod to Vygotsky). How could this NOT be applauded? How could this not be applauded. Being a teacher is such a journey. Emily taught me about valuing children AT the place they are, BY the people they seek, FOR the reason that only they can know they need. My image of Emily changed when I changed the lens through which I was seeing her. Emily learned about how to be at school by following Lara. I learned to be a better teacher by following Emily. How could that not be applauded.